All Kavals offered on this page are fipple style Kavals, (meaning the sound is produced by a fipple) and they are fairly easy to learn. No difficult embouchure is required, as it is for playing rim-blown open tube kavals. 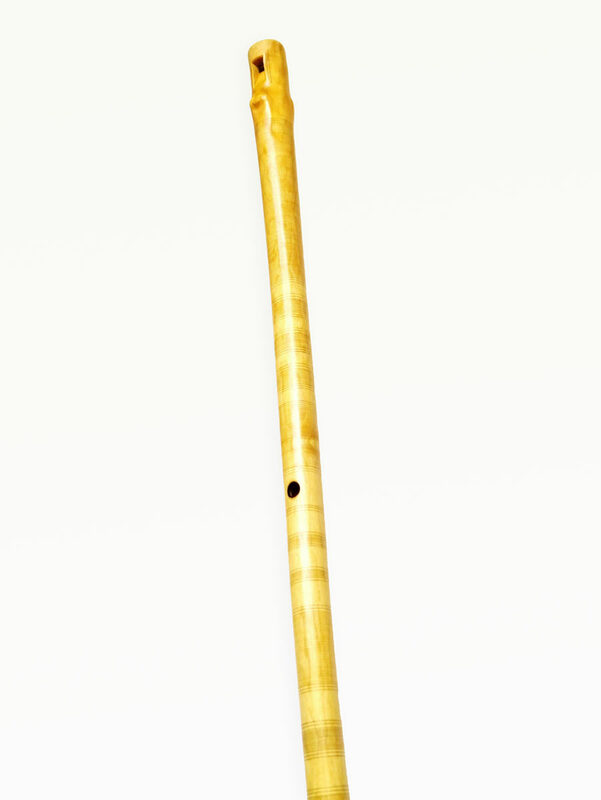 However, a more simple embouchure can be used to control and manipulate the sound, to create the typical rich, haunting sound these type of flutes can produce. This is done by pushing the lower lip slightly over the edge of and into the sound-window. It takes some practice to get it fine-tuned but is not very difficult to learn. In addition to this, some players hum and sing into the flute as well. 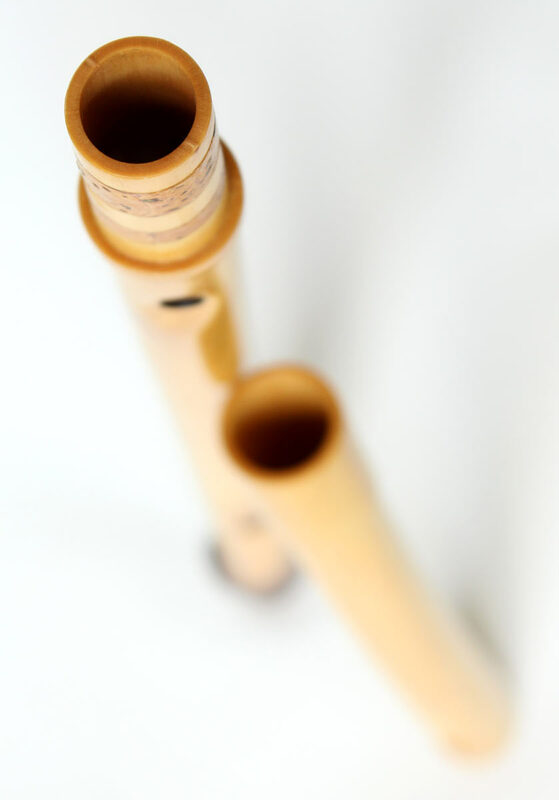 These 5-holed flutes are the more typical traditional shepherd instruments, easy to play with the finger holes close together playing a 'gypsy scale'. All concert-voiced and tuned, with a two octave and 5+ extra notes reach. Hand-drilled solid piece of Locust wood with the bark still partially attached. 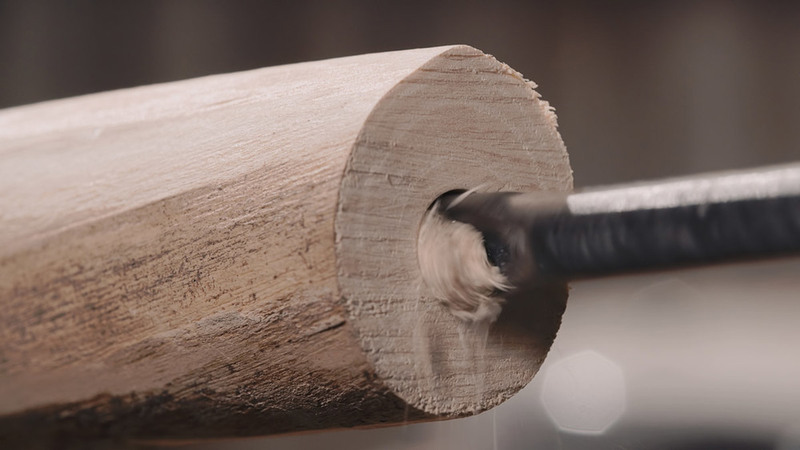 Hand drilled Elder wood, collapsible with hand-cut joint. 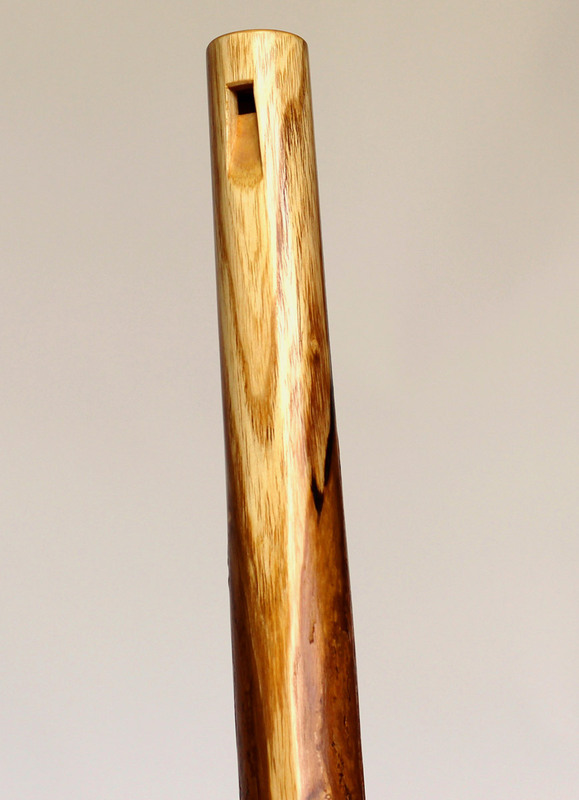 Hand-drilled solid piece of Elder wood with linear carvings. Hand-drilled, smooth finish, solid Elder wood. 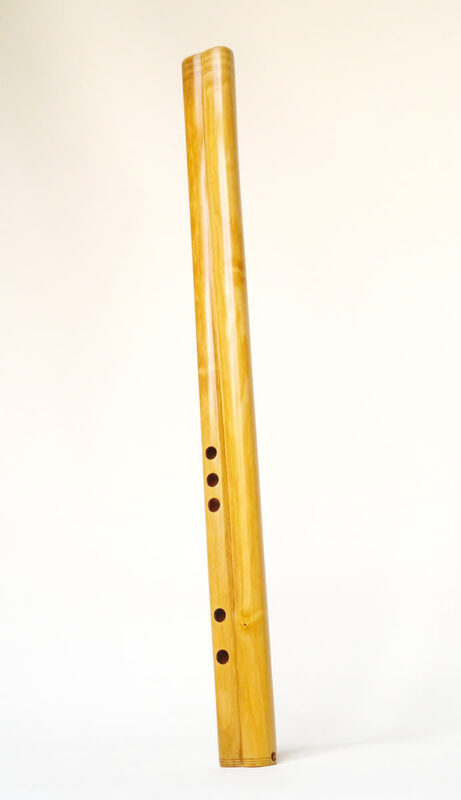 I started making these 7-holed flutes for myself, adding a half-step tone hole above the second hole and a half-step tone thumb hole above the 5th hole of the 5-holed Moldavian Kaval. This gives more playing options, but requires a different, more difficult hand positioning; covering the 3 lower holes with the base of the fingers, not the tips. All concert-voiced and tuned, with two octaves and 7+ notes reach. Handdrilled solid piece of Elder wood. 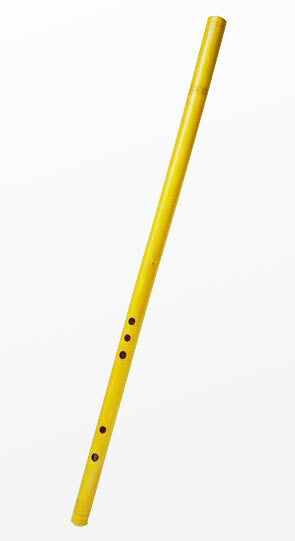 This flute can be seen in the videos below. 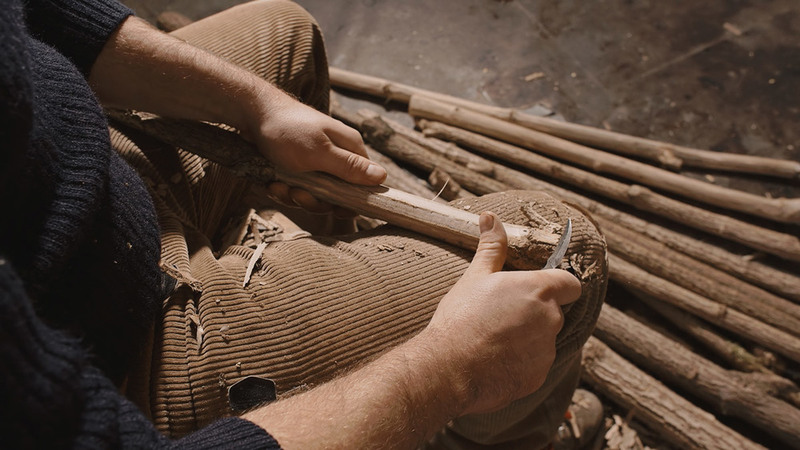 Hand-drilled Dog wood, collapsible with hand-cut joint. Hand-drilled solid piece of Elder wood, oil and resin finish, linear carvings. 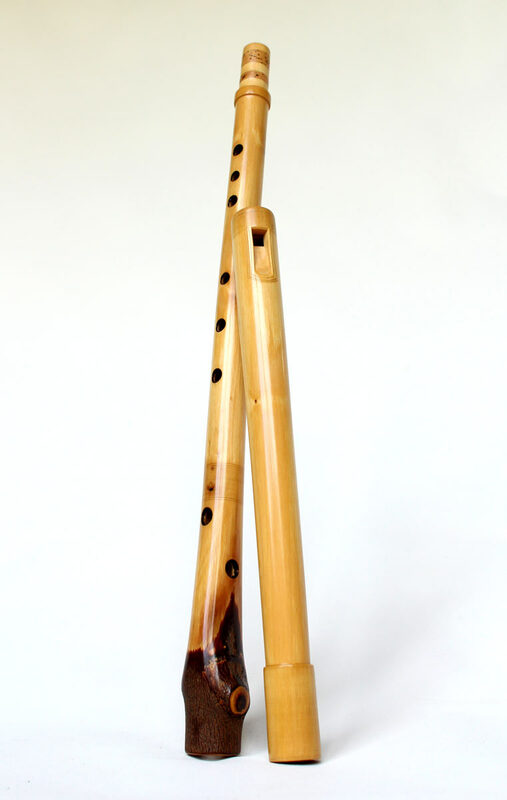 Double Kaval or Kavalghoza: The kavalghoza is a new, exclusive experimental double flute I have developed, in which two different cultures meet. 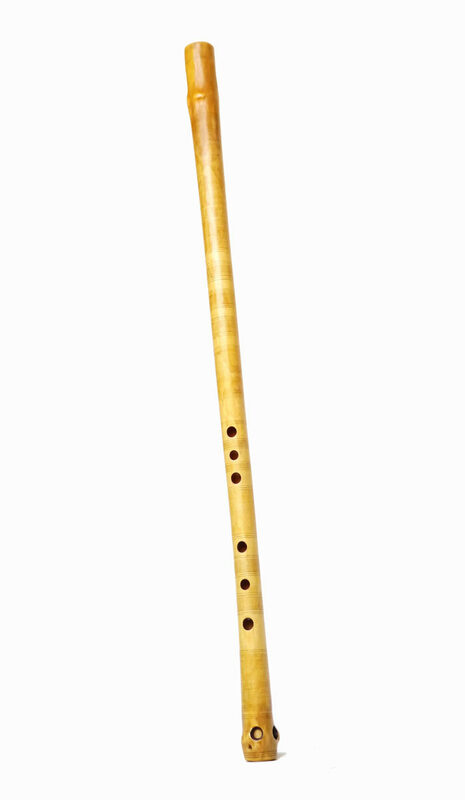 It is a double fipple drone flute bringing the Moldavian Kaval and the Pakistani Alghoza drone flute together. It consists of a 5-holed Moldavian Kaval paired with a adjusted Pakistani-style drone, with a thumb-hole in the back to make it shift one tone up while playing. 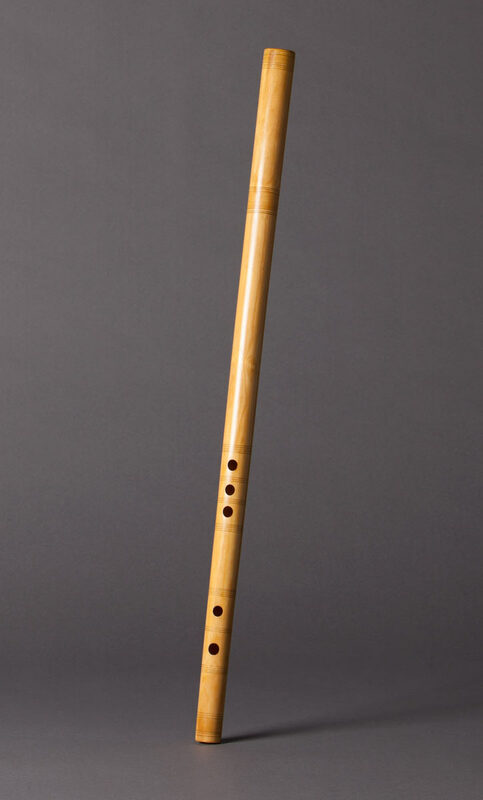 Two separate pieces of wood are drilled by hand and set together, the Kaval can thus be played separately as well. I use circulair breathing to accentuate rhythm and play but it can be played without as well. I make them in key of C,B ,A# and A.